With the fifth round of NAFTA renegotiations set to commence on November 17, 2017, the Trump Administration’s objects for investor-state dispute settlement (ISDS) in the final agreement have been front and center. Given the timeliness and the importance of the renegotiation efforts, the panelists will be in a unique position to discuss the merits of potential changes to the ISDS provisions as well as other aspects of the trade agreement. Our panelists and moderator will discuss, among other things, potential changes to Chapter 11 ISDS provisions, the intersection of U.S. industry and ISDS, and substantive protections. The International Arbitration Student Association and International Law Society of The George Washington University Law School hopes that you will be able to join us for this panel discussion. Steve Charnovitz (Professor, The George Washington University Law School) Professor Charnovitz is an associate professor at the GWU Law School. Prior to joining the Law School in 2004, Professor Charnovitz was the director of the Global Environment and Trade Study at Yale and from 1991-1995 he was the policy director at the U.S. Competitiveness Policy Council. Professor Charnovitz serves or has served on the editorial boards of the American Journal of international Law, the Journal of International Economic Law, and the World Trade Review. He is a member of the Council on Foreign relations and the American Law Institute. He has authored, co-authored, or edited more than 215 scholarly publications over his career and written multiple books on the topic of international trade law, the most recent being The Path of World Trade Law in the 21st Century. James Mendenhall (Partner, Sidley Austin)Mr. Mendenhall is a partner in the International Arbitration and International Trade practice groups at Sidley Austin. He is the former General Counsel of the Office of the US Trade Representative where he represented US interests before the WTO and in NAFTA disputes. In this capacity he was the chief negotiator for the US in the Softwood Lumber negotiations with Canada and served as the USTR representative on the CFIUS. Mr. Mendenhall has represented clients in numerous international arbitration and invest-state proceedings under ICSID and UNCIRAL arbitration rules and routinely advises clients on international trade negotiations, trade policy, national security regulations, and legislative matters. George Kalantzakis (Manager, International Government Affairs, Hess Corporation) Mr. Kalantzakis is the Manager of International Government Affairs at Hess Corporation, a Fortune 500 American based oil and gas company with global operations. Prior to joining Hess, Mr. Kalantzakis worked under the Chief Economist at the American Petroleum Institute. He received his graduate degree from The John Hopkins University School of Advanced International Studies (SAIS). Following graduation from SAIS, he received his MBA from John Hopkins. Patrick Childress (Associate, Sidley Austin)Mr. Childress is an associate in the International Arbitration practice group at Sidley Austin. He focuses primarily on international dispute settlement including investment treaty arbitration and international commercial arbitration. He has represented investors and governments in proceedings before the ICSID as well as in arbitrations under the Arbitration Rules of the UNCITRAL, the International Chamber of Commerce, and the London Court of International Arbitration. Todd Tucker (Fellow, Roosevelt Institute)Todd Tucker is a Fellow at the Roosevelt Institute who specializes in economic governance, dispute settlement, and regulatory implications of international trade, investment, and tax treaties. He is a co-author of The Rise and Fall of Fast Track Trade Authority which explores the history of U.S. Executive-congressional relations on trade. 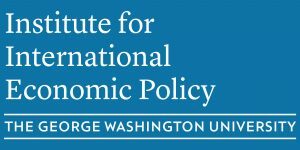 He has authored more than 60 major reports and is often published and cited in and on CNN, NPR, the New York Times, the Wall Street Journal, and Washington Post for his expertise on the intersection of the domestic and global economy.